Fifteen years ago we broke the rules by cooking Thai food as it should be. 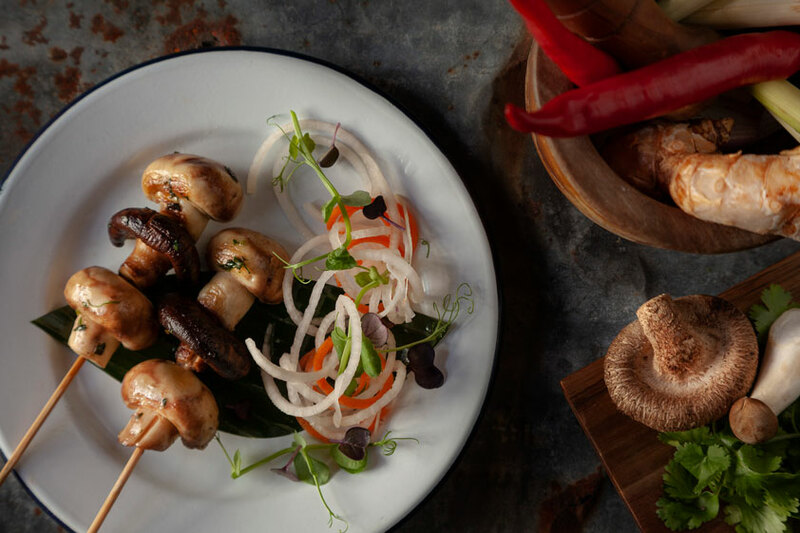 Kin Khao Thai set the standard for Thai food in Ireland. 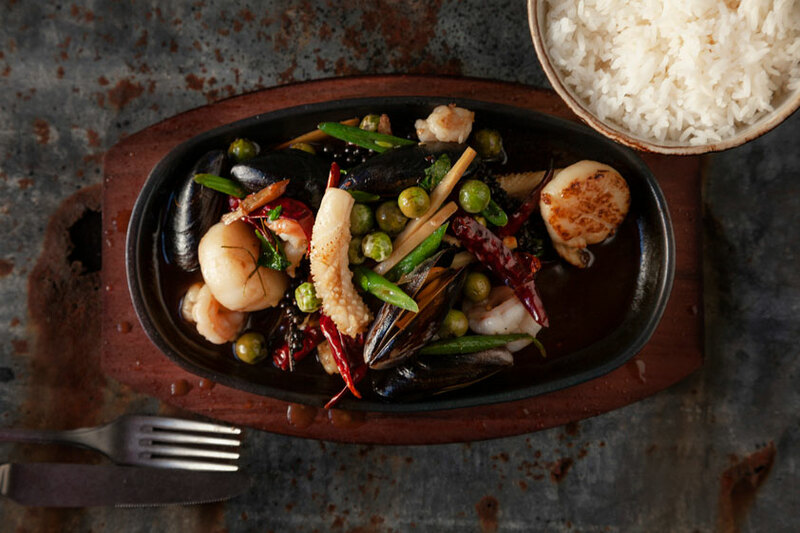 Now is the time to throw away the rule book once again by introducing Isaan Thai to our new menu. At home we enjoy food from all over Thailand. Our chefs are a tight team hailing from every region of Thailand. When we cook together, Isaan is the food of choice. 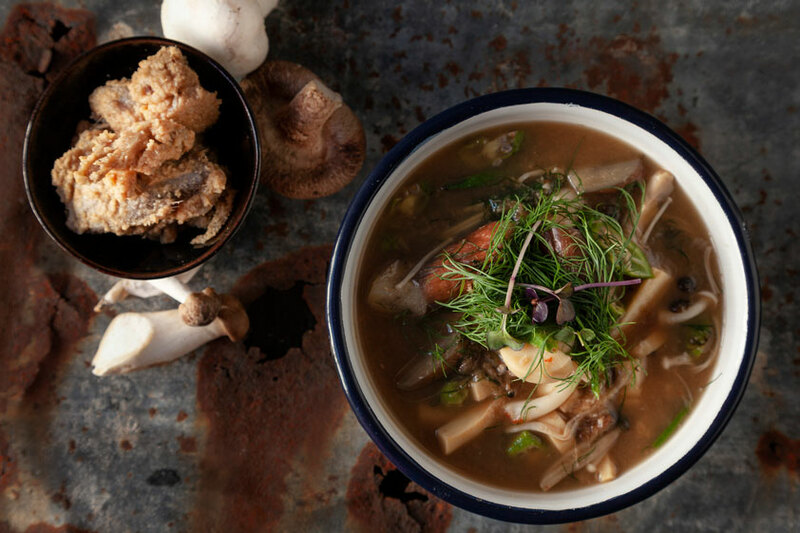 It’s also the fastest growing regional Thai cuisine in Bangkok, New York, and Sydney. Isaan is a region in the North East of Thailand where the food is like no other. It’s both a joy and a challenge to eat. It’s gutsy, fermented and fiery. Each of our chefs has their own passed down family recipe or favourite comfort food from their home town. We cook, eat, and argue over dish before it makes it to our menu! 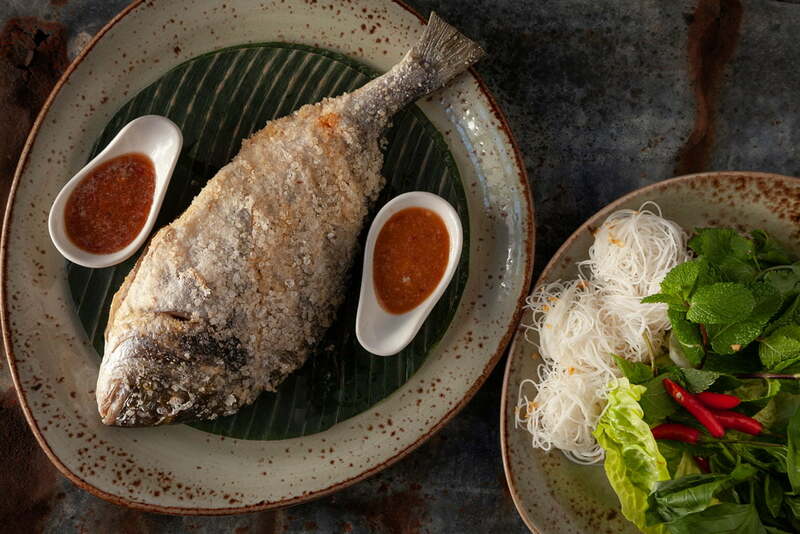 We hope you enjoy this journey into our Kin Khao Thai world. 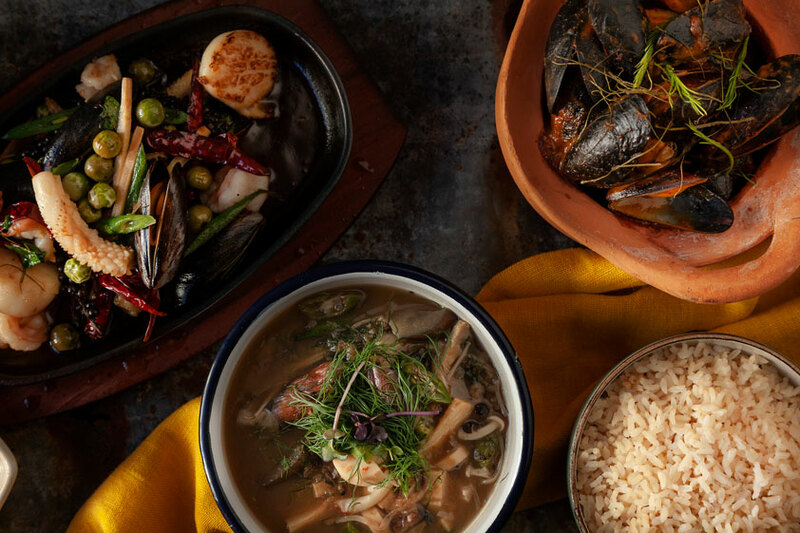 Sample dishes from the Far North with their strong Lao and Burmese influences. Pit your senses against the fiery salads and curries of Isaan in the North East. Savour the creamy coconut curries popular down South with their strong Muslim and Indian flavours. You’ll find many dishes on our menu that come from the hometowns and villages of our staff. Some are family recipes that have been passed down through the generations. Others started life as humble staff food and we all fell in love with them. 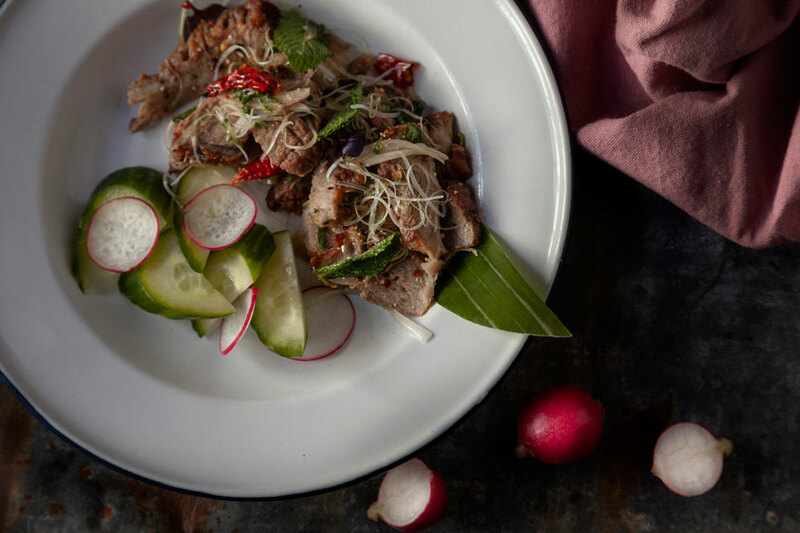 Since 2002 when Kin Khao was born there has been a revolution in the intertwined worlds of food and drink. Back then Kin Khao was introducing its customers to crispy dry Rieslings from Western Australia, mysterious Viognier’s from Argentina and smooth red velvet Malbecs from Chile. How the world has moved on since then. There’s been a wine revolution, a Gin renaissance and a beer resurgence! 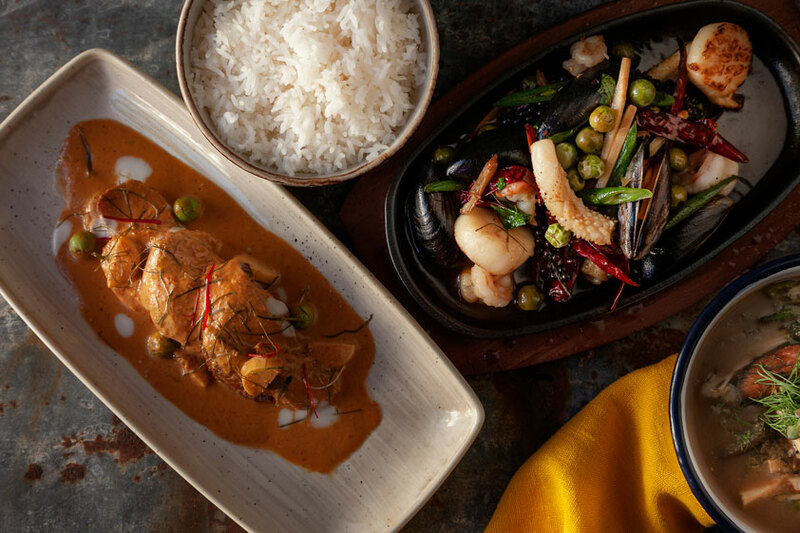 Like our food, we have been working with some great suppliers to bring you a range of wines, beers and cocktails to match the unique cuisine at Kin Khao. We have designed a fabulous cocktail list with some of Kin Khao’s own recipe cocktails. We are one of the first of Brewdog’s “Dog Dealers” in Ireland. Which means that we stock a range of exclusive Brewdog beers that are not available anywhere near you. We also have a constantly changing Guest Beer tap for you to try every time you visit. Our wine list has expanded, always pushing new frontiers. All of which will complement and bring out the amazing Kin Khao Thai flavours of our food. At Kin Khao Thai, we serve 4 different types of rice.